Pacific Tire is a full service commercial tire dealer located in the Pacific Northwest. 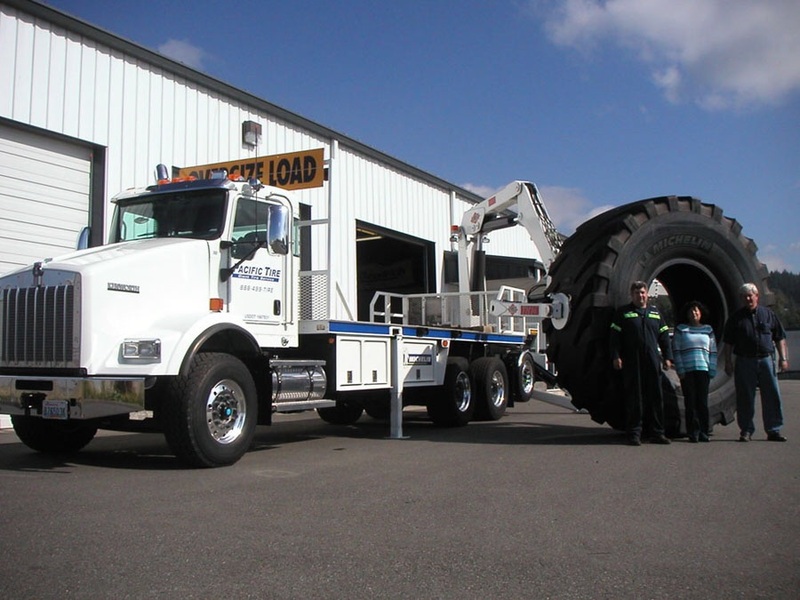 We offer truck, earthmover, farm and industrial tires, as well as passenger and light-truck tires. Pacific Tire has a 24-hour emergency road service from Seattle to the Canadian border. Call us toll-free at 1-888-499-TIRE (8473). Pacific Tire Co. Inc. is a full service commercial/retail tire dealership located in Mount Vernon, WA. We have a modern 12,000 square foot facility, with three drive-through truck service bays, located just off Interstate 5. Pacific Tire is owned and operated by the Montgomery family, including Skip, Linda and son Charles. The Montgomery's have been in the commercial tire business for over 45 years. They, and their crew, are ready to serve you.